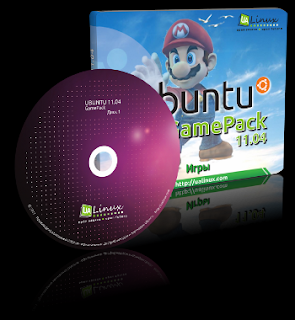 Any modern Operating System is thought to be incomplete these days without games and so is Ubuntu. Thankfully, an Ubuntu 11.04, 5 DVD game pack is now available which contains as many as 156 games. The installation is pretty simple. You just need to run the 'autorun.sh' script found in the root directory of each DVD. Fortunately, the discs contain all the needed dependencies so these can be installed on offline PCs as well. The DVDs do not contain Ubuntu Operating System itself, obviously. If you want to download a single disc image, here is a list of games contained on each DVD. Asylum – goonies – Robombs – ic – Caph – Numpty Physics – OGS Mahjong – America’s Army – v.2.5.0 – Assault Cube – World of Padman – Warsow – Red Eclipse – Alien Arena – Enemy Territory Blood Frontier – True Combat Elite – Tremulous.